Securasound are pleased to announce that they can offer their Intruder Alarm customers one of the most cost effective ways of monitoring their alarm via the CSL DigiAir. DigiAir uses all the mobile phone networks via the CSL World Simm, allowing existing and new alarms to be monitored via our central station easily and importantly cost effectively. 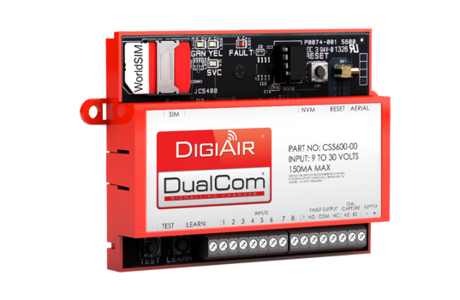 DualCom DigiAir® is a groundbreaking wireless digital communicator embracing the long-standing concept of a digi and combining it with the multi-network WorldSIM® as standard. DigiAir® doesn’t interfere with the formula that has been so successful for the standard digi and is familiar, quick and easy to instal. Instead of a telephone line it simply utilises all mobile networks via a radio path. Using patented technology, DigiAir® sends a signal from the protected premises to the Alarm Receiving Centre (ARC) via a WorldSIM®. This multi-network SIM card can utilise any mobile phone network, offering the best guarantee of radio coverage anywhere in the UK. This offers maximum, reliable performance from its radio path. Any orders received today Tuesday 24th before Midday for in stock items will be dispatched and delivered between Christmas and the New Year via Interlink Express or the Royal Mail. Any orders received after Midday or for non stock items, these will be dispatched on 2nd/3rd January 2014. If you need an emergency item over the Festive period please contact us via telephone, call our normal office number and this will give you the emergency out of hours numbers. Please avoid 25th/26th December and this is only for emergencies we will not be able to deal with normal enquires at this time. All our suppliers are now closed so we can only dispatch what we have in stock, and while we carry hundreds of products we do not carry them all. If you have a routine enquiry please send us an email, or leave a message and it will be actioned as soon as possible in the New Year, if you have an Intercom fault and you are not sure on the part you need please also send us pictures of the items. We thank all our customers for tier business in 2013 and look forward to working with you in 2014. We are pleased to announce that we can now supply an engineer to repair Simplex/Unican Locks in the Central London Area. To arrange a visit simple click on the Engineer link on our web site, don't forget to send us a note with your make of lock and that's it. If you are not sure which lock you have simply email us picture. Securasound Limited is please to announce the addition of the Cop range of In Car Camera Systems to our range of CCTV Products. The COP In-car CCTV system Provides strong evidence in the event of a non-fault road traffic accidents. The COP range of In-Car CCTV Camera’s is proven to improve driver behaviour and allows business owners to monitor the driving of their employees. Provides strong evidence in the event of a non-fault road traffic accident. Speeds up the time taken to settle a claim. Proven to modify driver behaviour. Reductions in fleet costs and ensure your drivers are abiding by company rules. Optional Parking recordings (None, 10Mins, 20Mins). GPS Data clearly shows car speed before (MPH or KPH), during and after any event. GPS Mapping overlay using Google Earth shows exactly where the vehicle has been and the route taken. Warning beep alerts you to harsh manoeuvres. Units can be powered from a car accessory socket or hard-wired in place. We are please to announce that many of the locks in the above range have had a modest reduction in price, to quote a famous supermarket "Every Little Helps"
Over the last few weeks we have added more audio & video intercom systems to our site along with more spares including different systems. We have also grown and continue to grow the spares we keep in stock to allow us to dispatch many for next day delivery. Securasound Limited is proud to announce the arrival of Guest Lock, the first Hotel Locking Product aimed at the smaller/Boutique guest accommodation property. Guest Lock can be fitted in properties with as few as one letting bedroom, as the system does not need a costly central PC or control unit in order to program cards or tokens. On arrival guests are given a 3 Digit code which they use to program their own 4 digit Pin Code as they would an in room safe, into the Guest Lock. Staff can access the Door at anytime via either a master code or a sub master code which are also used to quickly reset the Guest Code on check out. Guest Lock allows you to do away with Guest key problems forever. 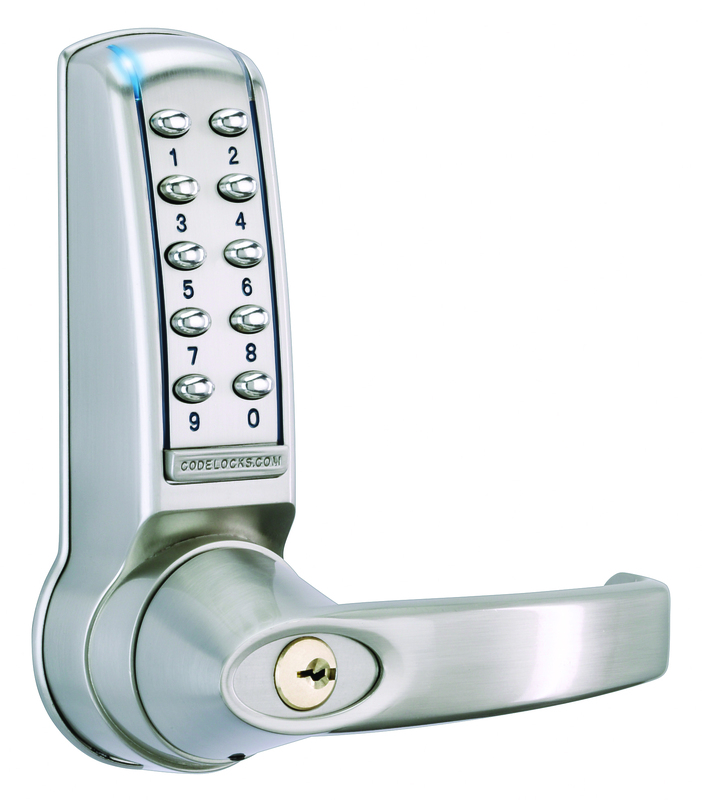 Guest Lock is supplied in two versions medium duty at £99.00 plus VAT and heavy duty at £125.00 plus VAT. For more information on Guest Lock visit www.Securasound.co.uk/Guest Lock or call 01948 667600. Unfortunantly Intercom manufactuer Acet has stopped making spare sqaure buttons for legacy panels, and we get requests for these several times a week. What we want to do is source a button from a diffrent manufatuer. When sent our last replacement button out we didn't know that we would not get anymore, as such we don't have anything to compare a new one with. So if you are looking for a replacement sqaure Acet button if you could send us your old one, we will do our best to source you a new one. We need the buttons to be physically intact to ensure the size is correct. If you can help either get in touch or just send us a sqaure button along with your contact details. Interlink Express Top of Class for Carbon Reduction. Congratulations to our parcel carrier Interlink Express who for the second year running have come top of the Environment Agency's Carbon Reduction Commitment league for Parcel Carriers and 121 out of the 2000+ corporations ranked. Despite seeing increased parcel volumes and a growth in infrastructure, they have managed to reduce their carbon footprint by 9% - down to 13 million kg CO2, from 15 million kg CO2. Securasound Limited as a responsible company aims to reduce its environmental impact and this is one of the reasons why we use Interlink Express. Importantly they also provide us with a first class delivery service! During April we will be adding our products to the Amazon Uk web site, via their sponsored listings section rather than an Amazon shop. Flatter, smaller, simpler, more convenient and more economical. With Fermax quality and design, but just the basics. This is the new MINI KIT. A fitting response to basic needs. For more information visit the Fermax Section of the web site.